It's still the middle of summer here. Meaning boiling hot and quite humid days. 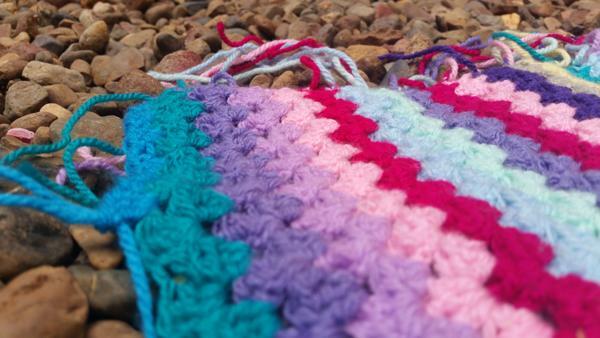 But despite all that I felt an urge to pick up my crochet. 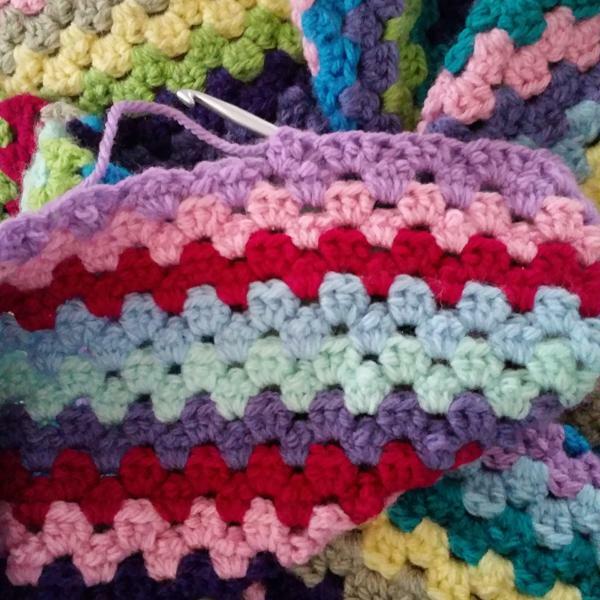 Not just any crochet my granny stripe blanket. It's hot and uncomfortable but gosh every time I work on it I know why I love working on it. I started off here last Saturday night and by the end of the night I had added 2 and a half colours and just started the third colour. 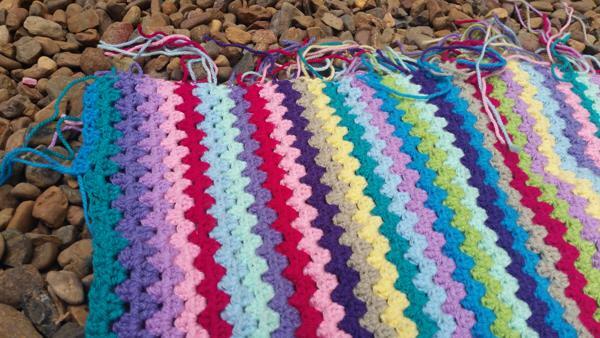 I just need another 4 colours then I'm calling it finished. Though I will be adding a border. Once I have sewn in a pile of ends. Or maybe I'll add the border first and avoid the ends... that sounds like a good plan. The blanket looks great Caitlin. The colours in is are gorgeous!